💗 Thank you so very much for the Donutes Coffee & Cake Baking Malaysia's invitation. 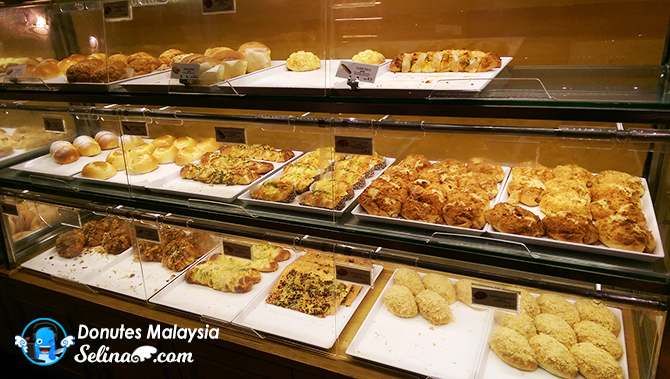 You know, the Donutes Coffee & Cake Baking Malaysia' outlets are open in 24 hours on everyday, included the weekends. Many people always can go buy many pastries and desserts, or grab to drink the coffee or tea when the friends who hangout to chat-chit or they are hungry after their busy assignments, mean you can drop at the Donutes at anytime or late night! You also can read books or work on the laptop in the relaxing environment there. 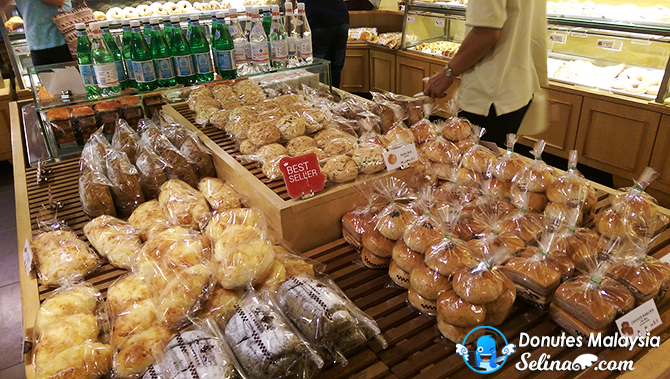 Sometimes, my family and I are looking for the bakery shops along the Jalan Kenari, Puchong when we want to grab the bread or pastries to eat the breakfast before my sisters and I go to the office. 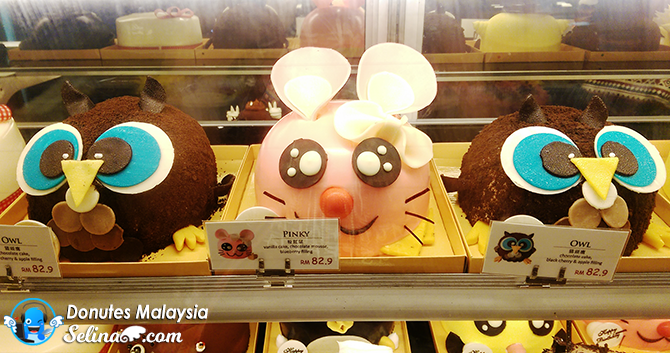 I surisped to see a lot of desserts and cute cakes in the Donutes, Puchong! 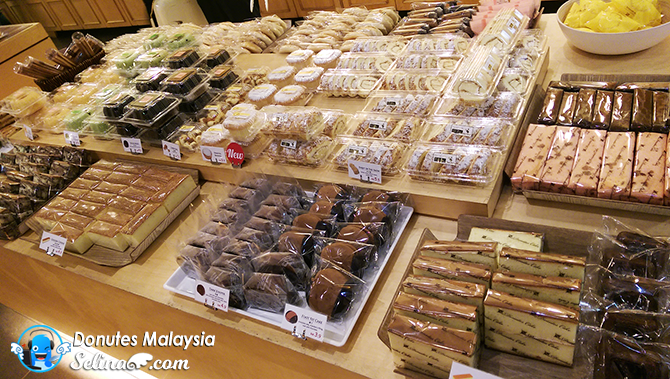 There are many breads, sandwiches, desserts, salad, and many..in the Puchong branch! 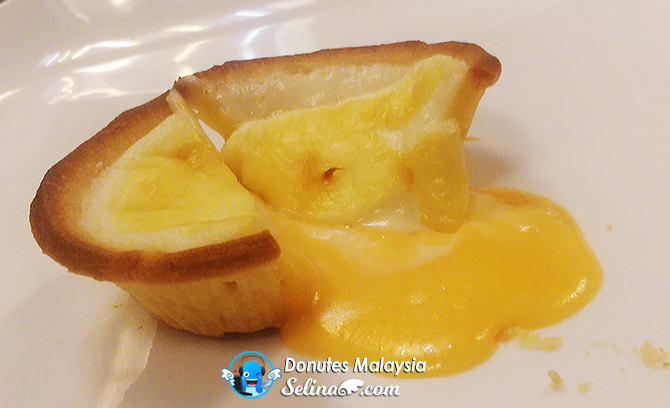 The Donutes Malaysia like to put an awesome idea to make 1st Lava Salted Egg Cheese Tart, make the customers' heart who will be melt when they bite it...In their mouth, they can feel the cream cheese with salted egg yolk so very soft! 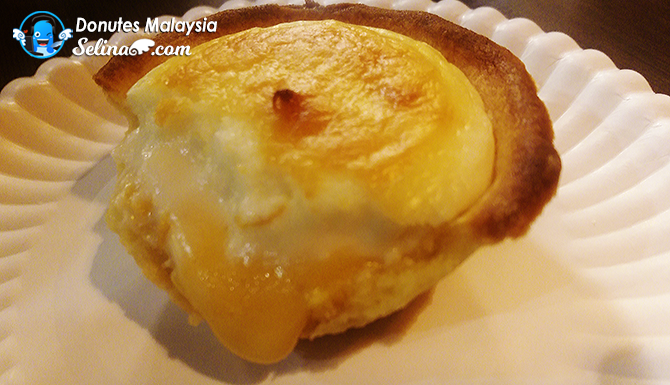 I think that they sure like it so very much when the Lava Salted Egg Cheese Tart become be best-seller, which will be sold out so quickly when they may be long queue in the Donutes Coffee & Cake Baking Malaysia Puchong branch! 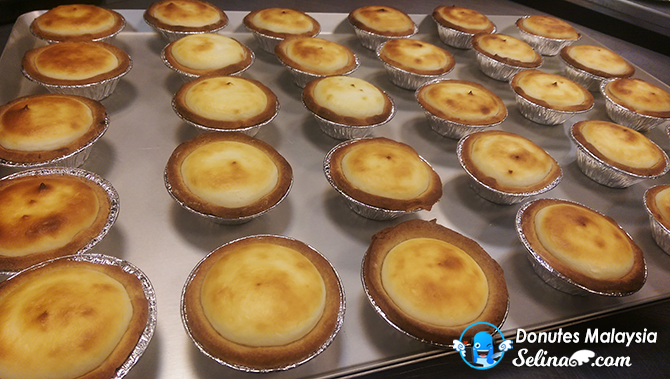 You can see all white cream cheese with salted egg yolk in every tart before the chef put it in the high-temp oven... 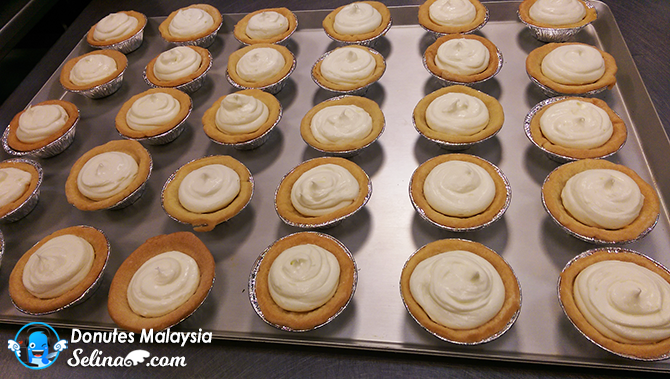 It take few minutes to bake all tarts... I can smell from their oven so very good! 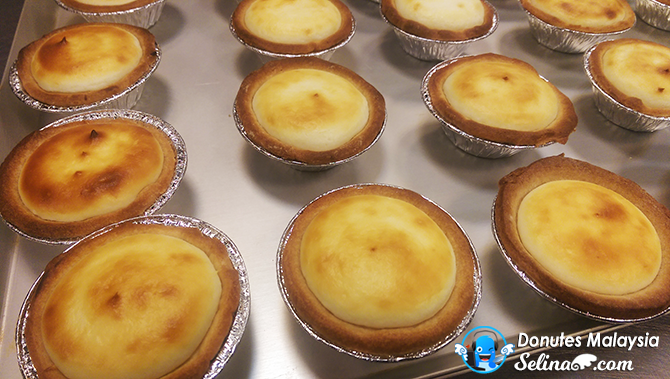 When I cut the half of the Lava Salted Egg Cheese Tart, the cream salted egg already be flow out in my hands! Why it called "Lava" because it looks like a lava already be break out from volcano! I always lick a very soft & fresh cream with my finger so I love this taste of sweet egg yolk with sour cheese so much! 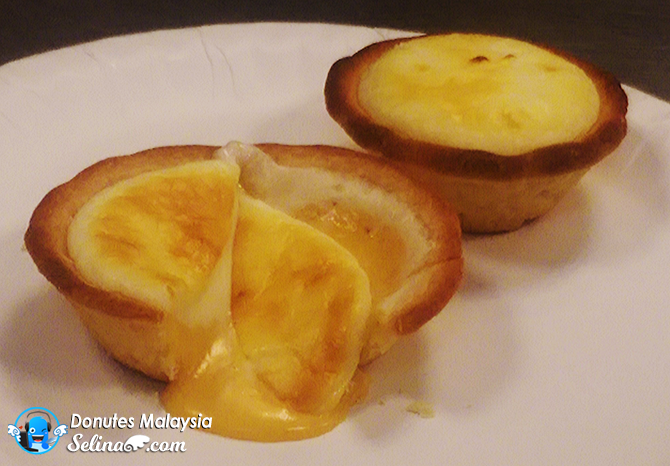 I was full already when I manged to eat three Lava Salted Egg Cheese Tarts! My mom told me that the Lava Salted Egg Cheese Tart have two layers inside.. 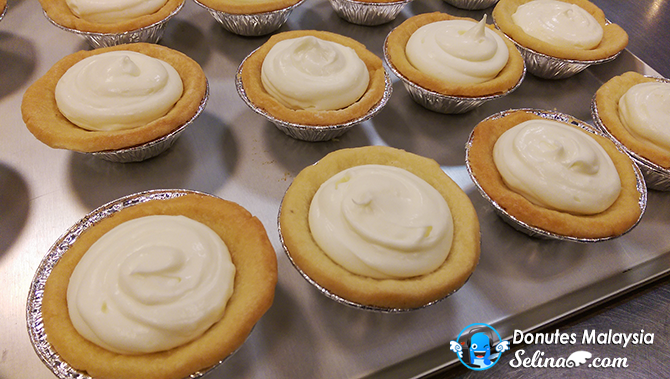 The bottom layer - yellow salted egg, then top be white cream cheese! That is why we can see the hot-baked cheese layer at top... We advised that you better to eat the tart in hot temp because it can be delicious. If you leave it be turn into cold, it is normal taste only. You can store in the refrigerator, then when you want to eat it in cold or put it in the oven to make the hot baked tart. No. 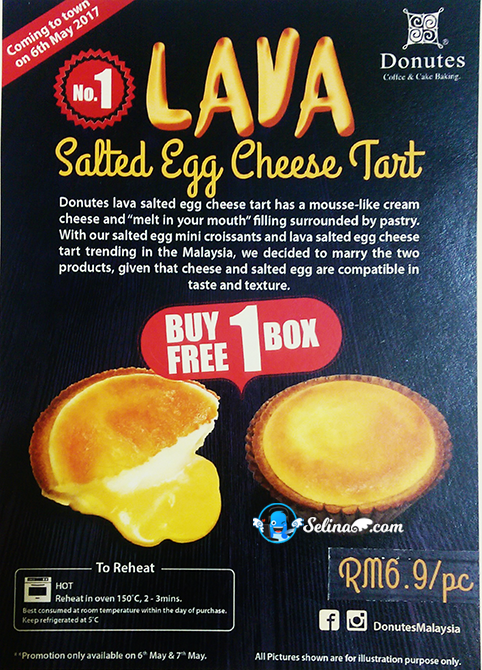 1 Lava Salted Egg Cheese Tart @ Puchong Outlet will be selling at RM6.90 per piece on 6 May, 2017. 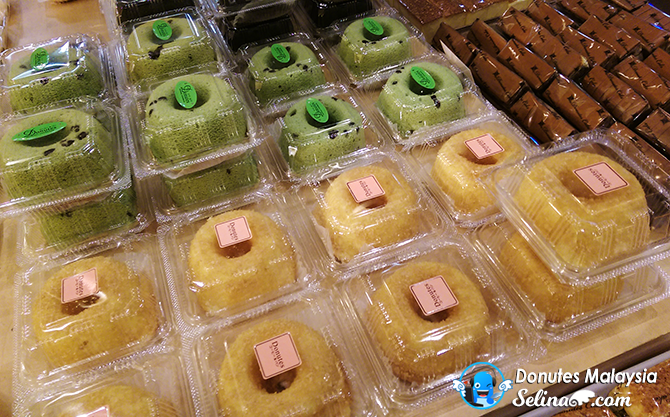 In the addition, they also offer a new promotion; 1 box (6 pieces) , free 1 box. 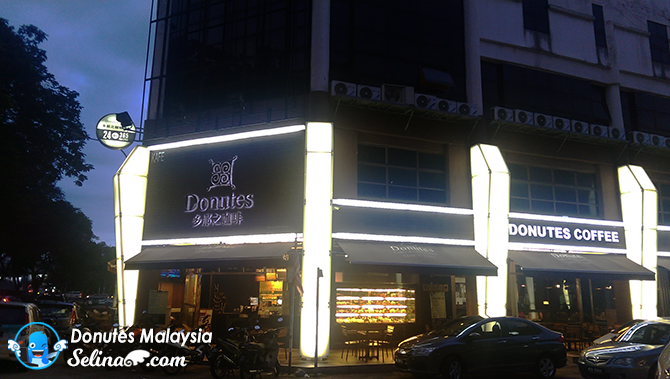 Donutes Puchong branch will start from 10am, for the "first-come first-serve" customers only. 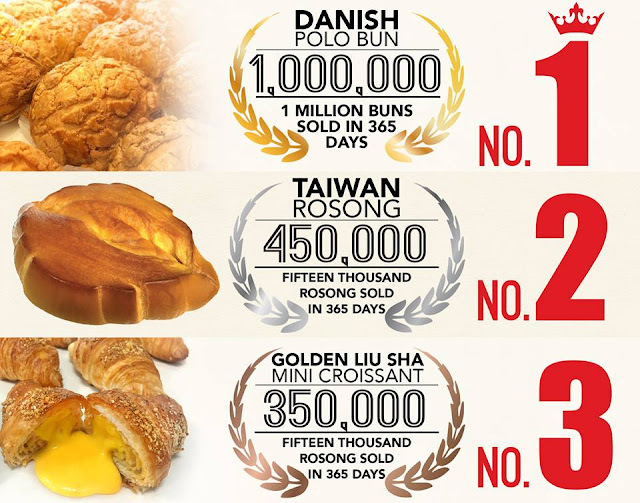 If you don't like the tart, you better to try three (3) best-sellers of Donutes Coffee & Cake Baking Malaysia are Danish Polo Bun, Taiwan Rosong, and Golden Liu Sha Mini Croissant! First - Danish Polo Bun are very 1st most best seller in the Donutes! I surisped that it get 1 million buns to be sold in 365 days - one year! 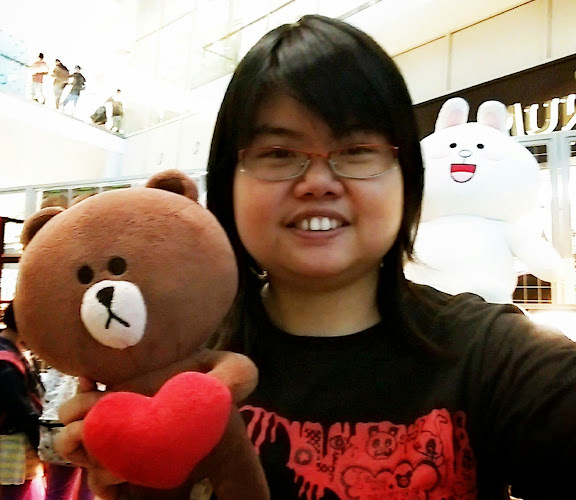 First time, I hold this Polo bun, which have crunchy & fluffy layer at outside with my hand! When I bite it, the sweet crust easy be fall down from the outside of Polo bun... I noticed that the Polo bun get the soft texture inside, not very sweet. For me, it is good bun which the kids and teenagers love it. 2rd - Taiwan Rosong - 450,000 be sold out in 364 days too. It is very huge bread is similar as my size of hand! 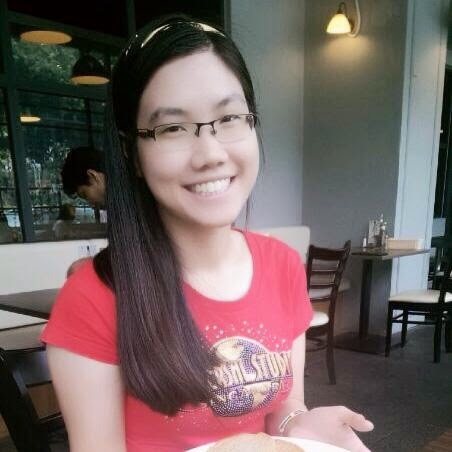 Two persons can share one Taiwan Rosong bread together so enough. It looks plain but get soft butter at top of bread. When I tasted it, I feel the nothing inside the Taiwan Rosong. It is good for old people like to share each other so easy because it is very big bread. 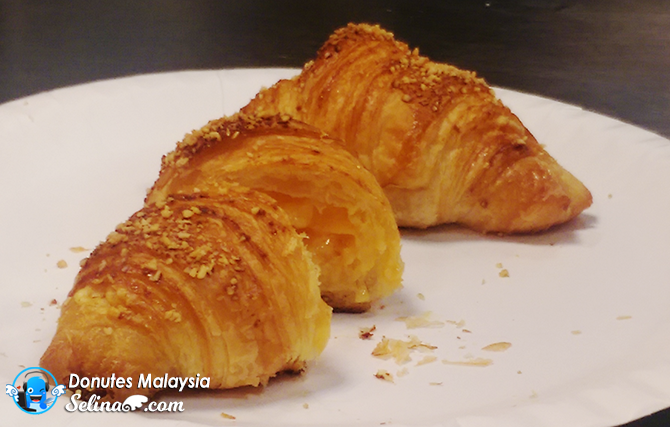 3nd - Golden Liu Sha Mini Croissant. 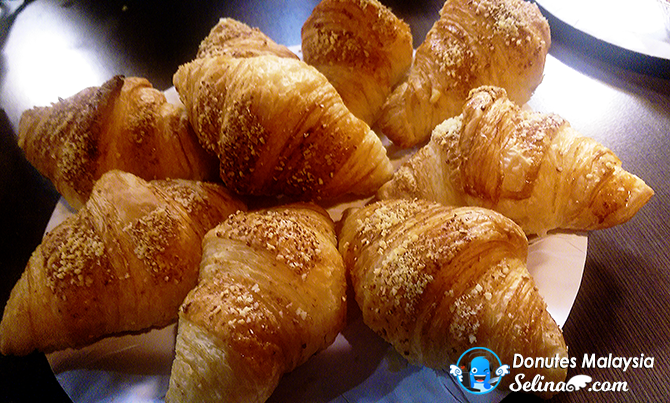 I used to eat the mini croissant always since I was kid. 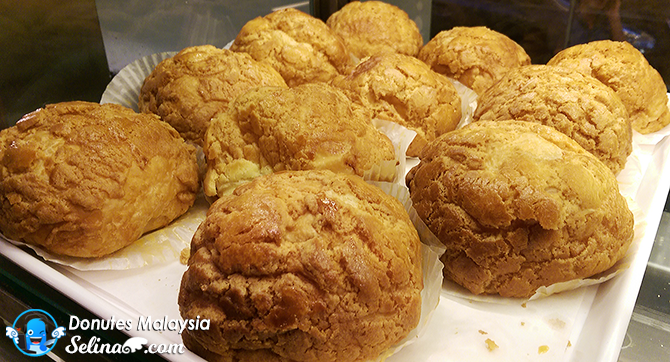 Wow, Golden Liu Sha Mini Croissant already capture my heart, make me want to eat more again, become my top favourite! 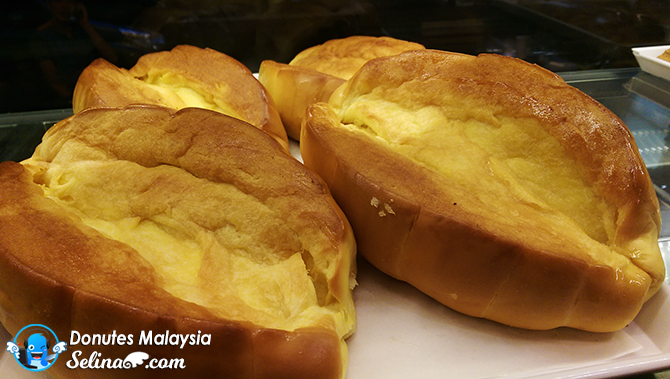 Because it get soft egg yolk inside...so very tasty! 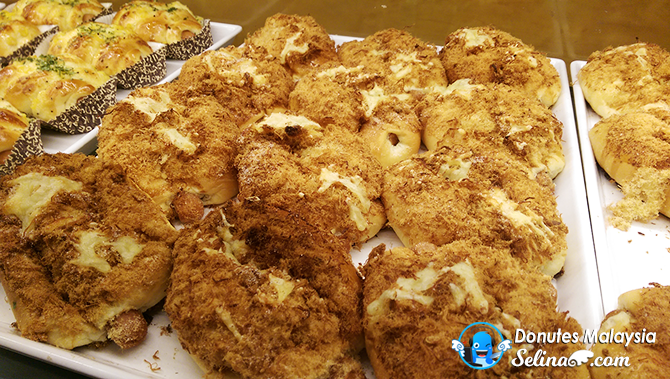 You must TRY the Golden Liu Sha Mini Croissant so very much if you ask me which is one best seller by Donutes Coffee & Cake Baking Malaysia when you visit the Donutes Puchong or SS15 or Kota Damansara branch which is nearer your neighbooring area! 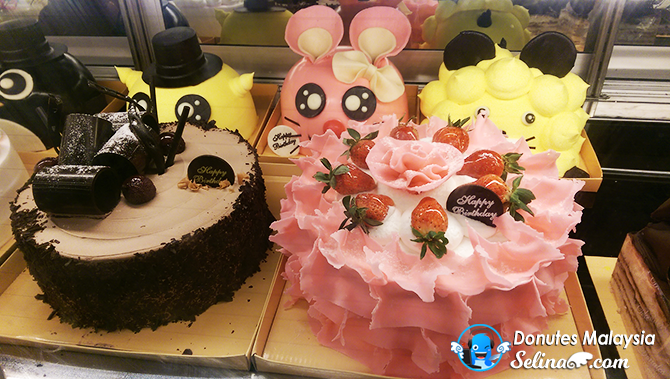 Donutes Coffee & Cake baking has over 25 years of experience in cakes and bakery industry in Taiwan . The founder of Donutes Coffee & Cake baking had a very simple goal when starting his first bakery shop. He always thought of baking for everyone and share with everyone. Choosing "Donutes" as a brand name was due to the core products , it was a fried bread those days. 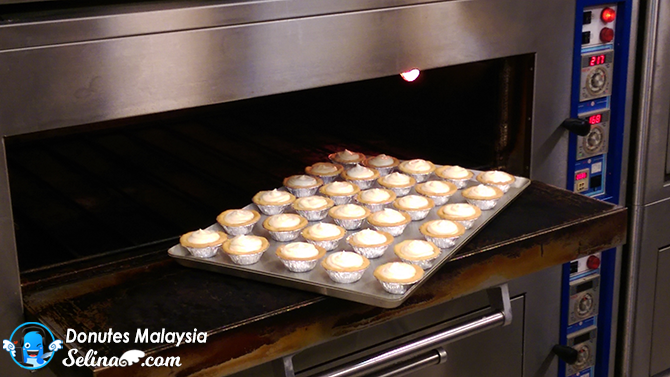 From 1989 to 2006 , Donutes repositioned its market position with Donutes Coffee & Cake Baking Malaysia. This was a new direction that changed everything, the business concept, the products, the shop design and decoration. 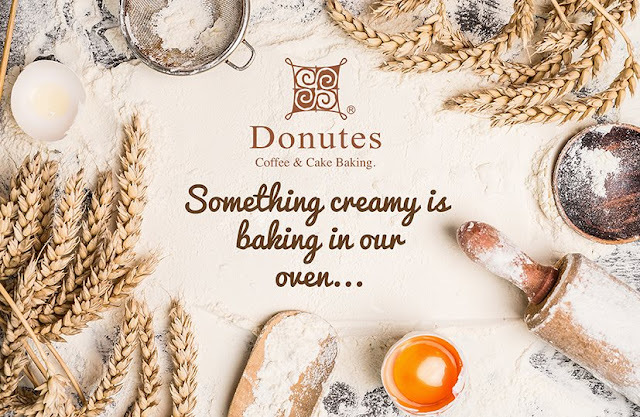 Donutes Coffee & Cake Baking Malaysia had successfully created many miracles as it look every process seriously and keep revising and examining. 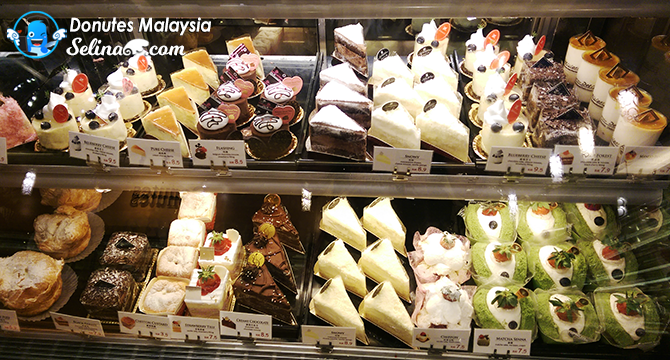 As of today, Donutes Coffee & Cake Baking Malaysia products include spacialty coffee, tea series, cakes, bread and ice cream. The variety of products that serves different groups of customers had shown that Donutes Coffee & Cake baking is customer orientated. It even provides a pleasant environment for get together chit chatting or just relaxing. No 7, Jalan Kenari 6, Bandar Puchong Jaya, 47100 Puchong, Selangor. No 1, Jln PJU 5/13 Dataran Sunway, Kota Damansara, 47810 Petaling Jaya, Selangor. 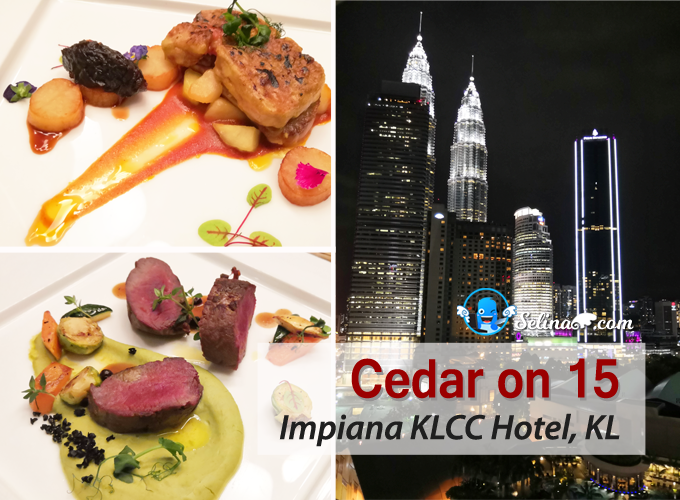 1, Jalan SS 15/4e, SS 15, 47500 Subang Jaya, Selangor. I am craving for one also. All their pastries look delicious too. Wow indeed the very first salted egg cheese tart, i never encountered it before. Based on your photos, they looked so delicious!